Eggplant is an abundant, common vegetable in most parts of the United States, but many home chefs don’t know how to season and prepare it. While many methods can be used to cook eggplant, including sautéing, grilling and frying, a healthy, simple method that results in flavorful eggplant is to bake it in the oven with traditional Italian herbs. When cooking eggplant, use oil sparingly, as the sponge-like eggplant tends to soak it up very quickly. Rinse the eggplant under cold water from the tap. Pat the eggplant dry with paper towels and place the eggplant on a clean cutting board. 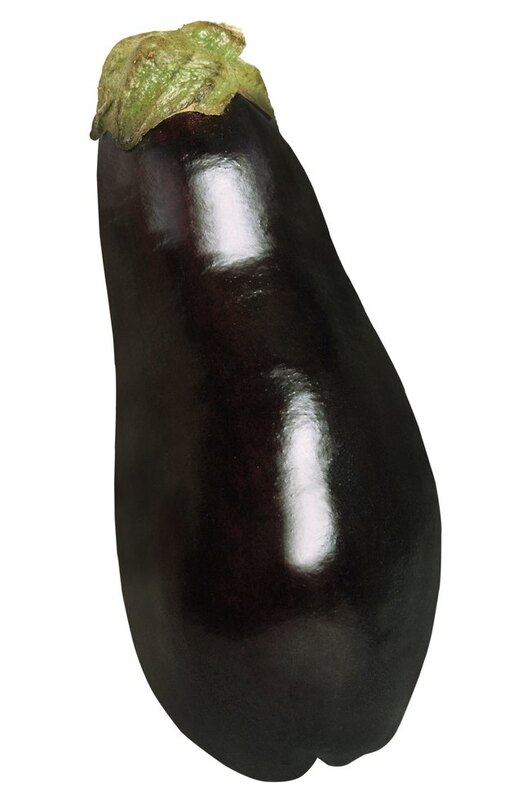 Remove approximately one-inch from the top and bottom of the eggplant with a sharp knife. Discard the top and bottom portions or reserve them for homemade soup stock if desired. Slice the eggplant into rounds approximately one-inch thick. Place the eggplant rounds onto a clean baking sheet. Brush the eggplant rounds with extra virgin olive oil on both sides and season them with sea salt and freshly ground black pepper to taste. Sprinkle half of the thyme, oregano, rosemary and basil onto the top of the eggplant slices. Place the baking sheet in the oven on the center rack and cook the eggplant for 10 minutes. Flip the eggplant slices over and top them with the remaining herbs. Put the baking sheet back in the oven for an additional 10 minutes. Transfer the eggplant slices to a warm serving platter with a spatula and serve them immediately while hot. For a bit of extra flavor, you can drizzle the cooked eggplant slices with hot garlic-infused olive oil right before serving. Use the garlic-infused olive oil sparingly to keep the eggplant from becoming too oily.